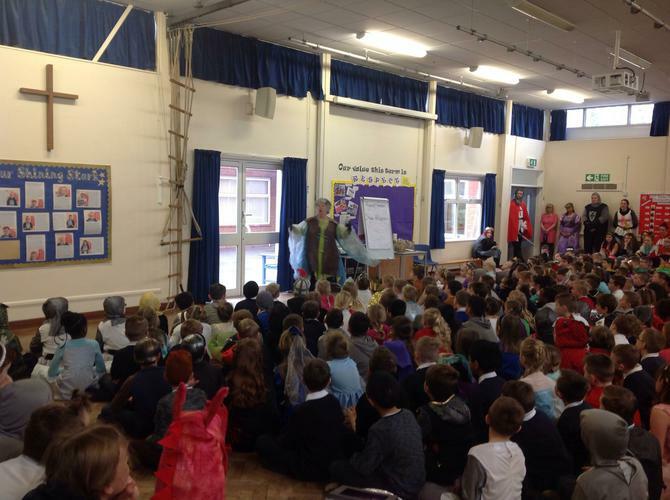 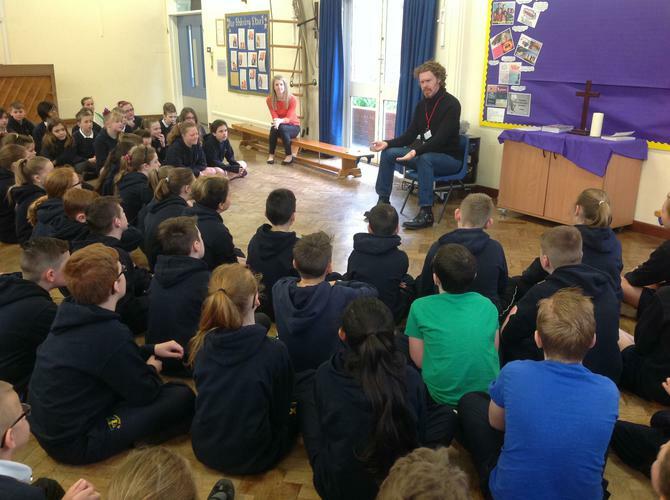 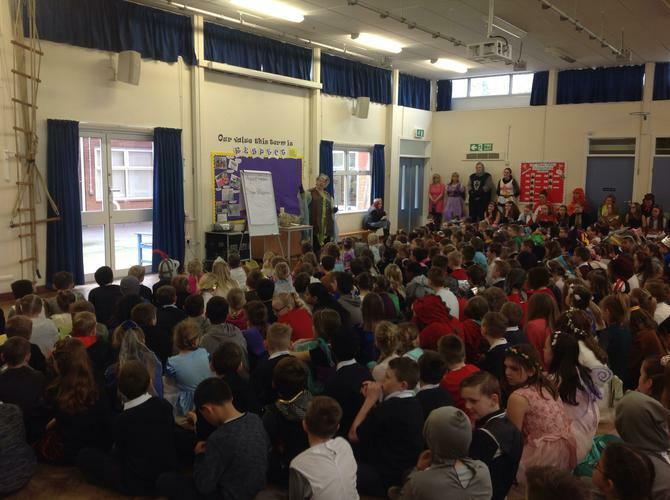 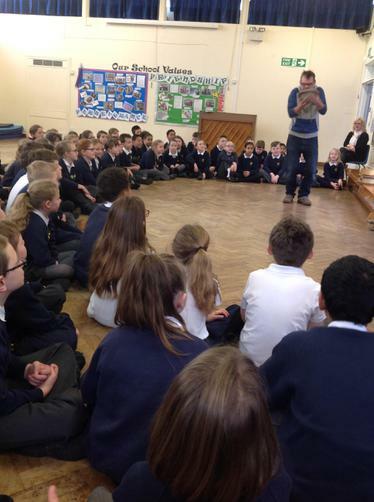 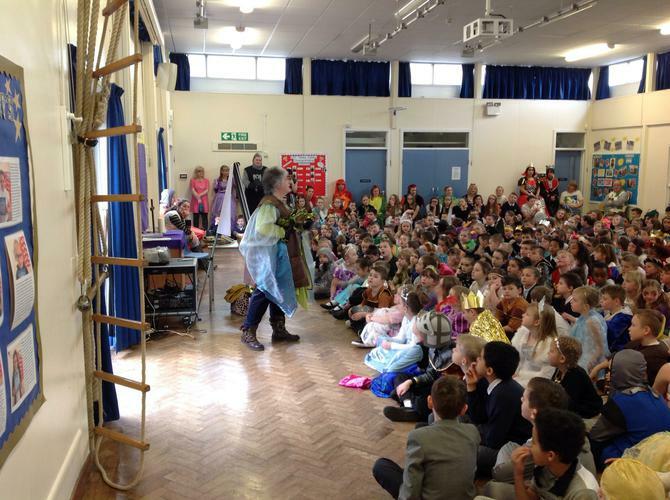 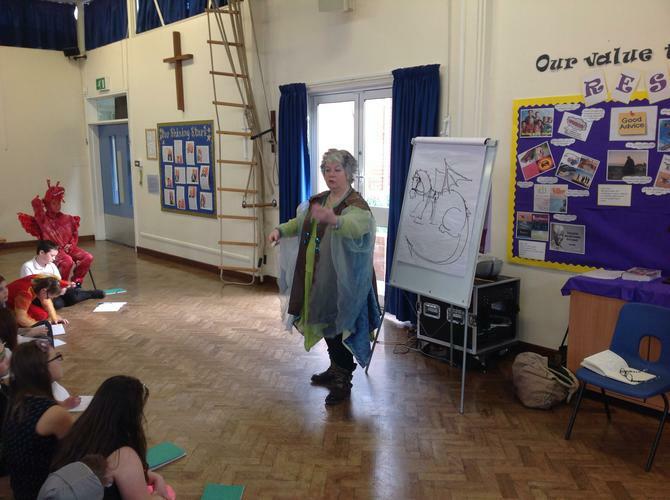 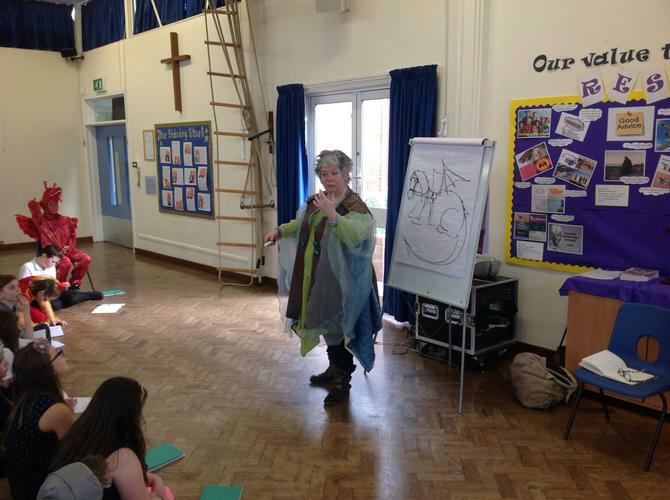 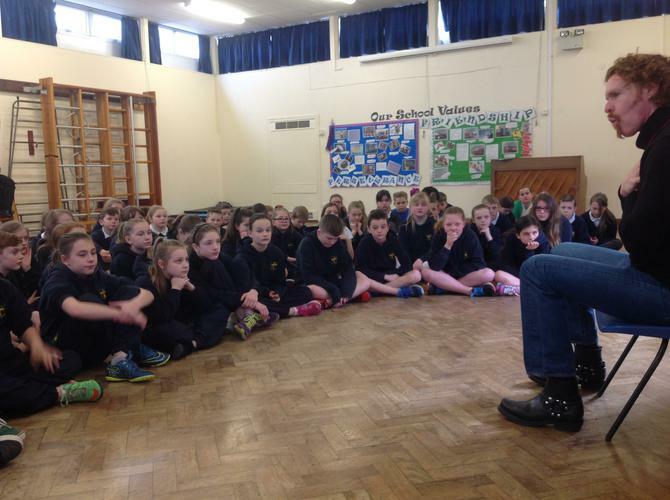 During Book Week, each year group was lucky enough to spend a day in the company of a professional storyteller. 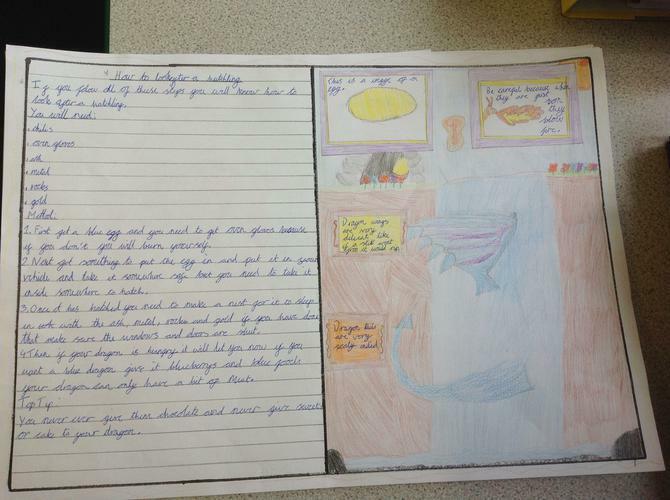 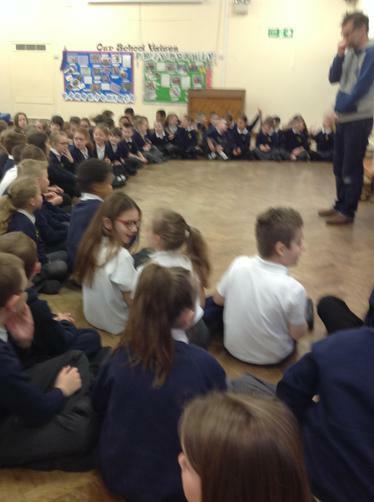 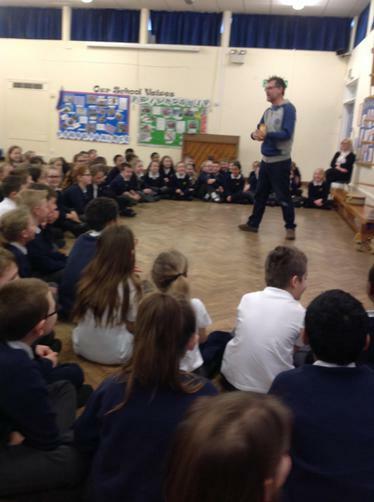 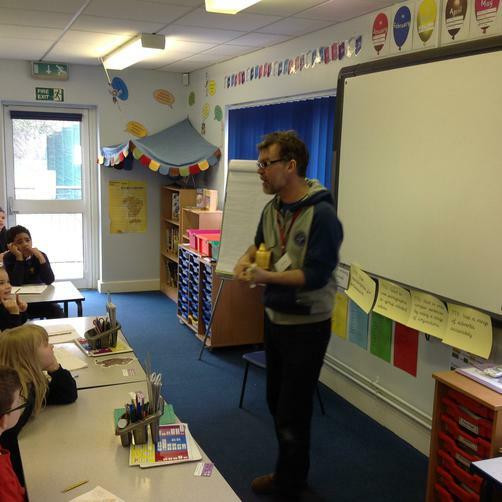 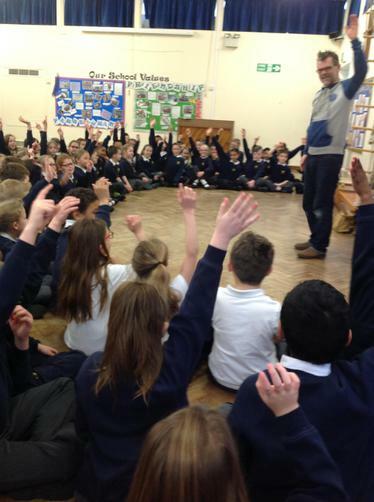 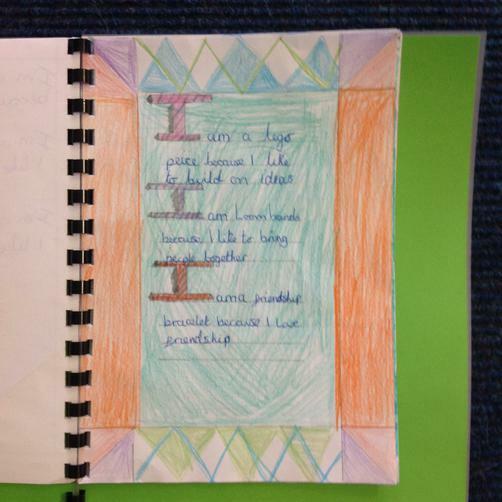 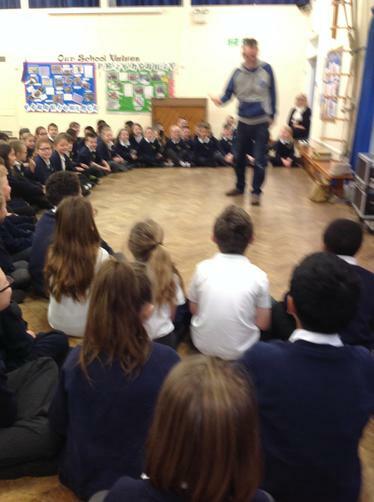 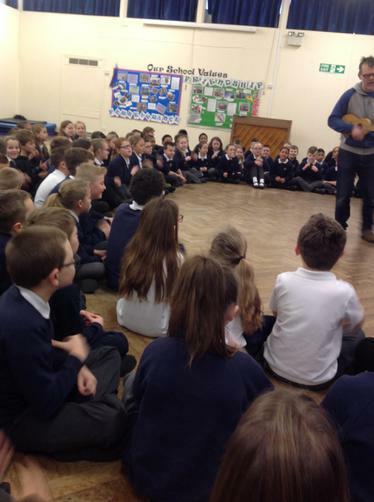 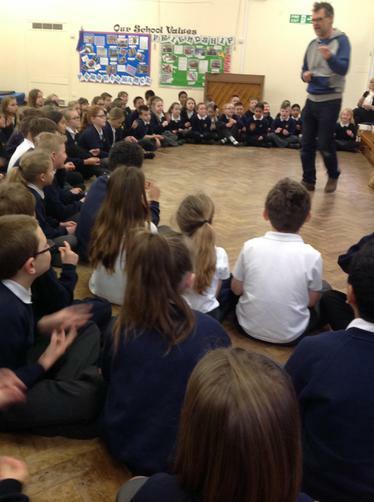 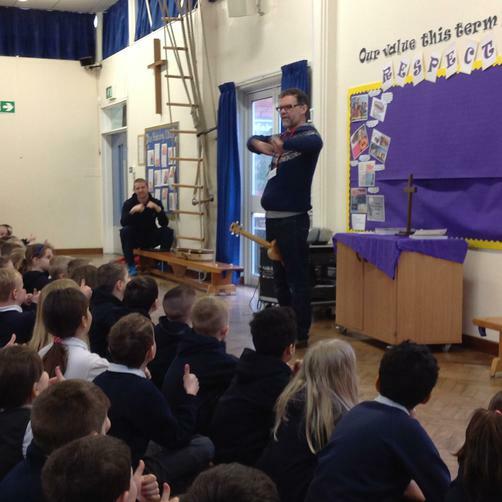 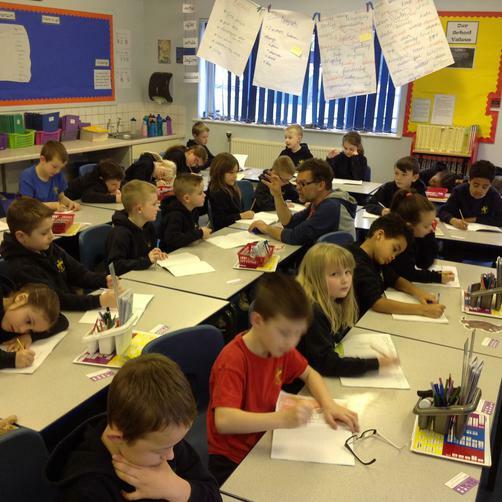 Years 3 and 4 were joined by Martin Maudsley, Year 5 by Pat Ryan and Year 6 by Giles Abbott. 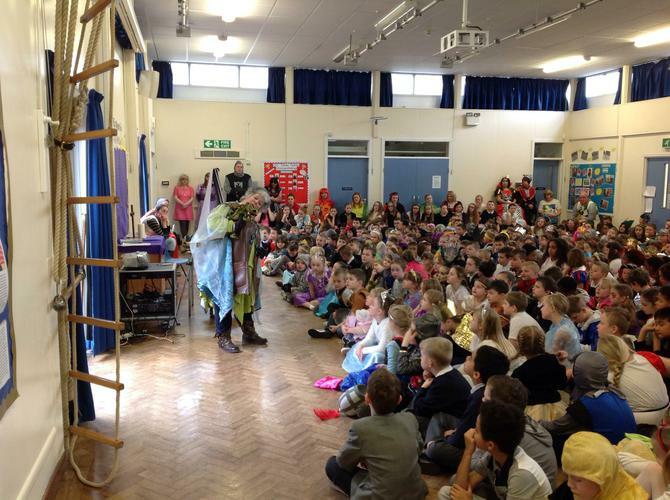 Our wonderful week was topped off with a special Dragon Day led by Agent Green the Dragon Whisperer. 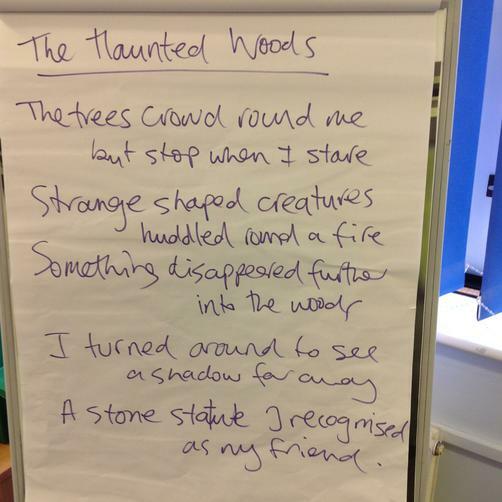 After a sensational storytelling session, Martin taught the children how to write haunted haikus with some spectacularly spooky results! 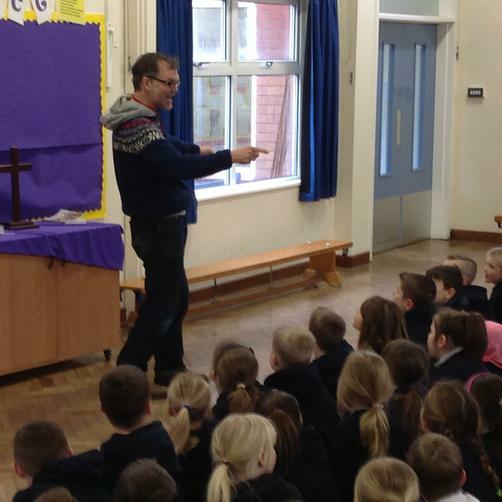 Pat told some superb stories and bamboozled the children with a selection of baffling riddles before leading a series of poetry workshops. 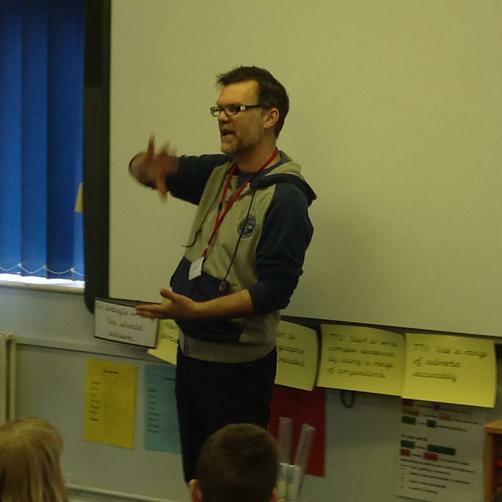 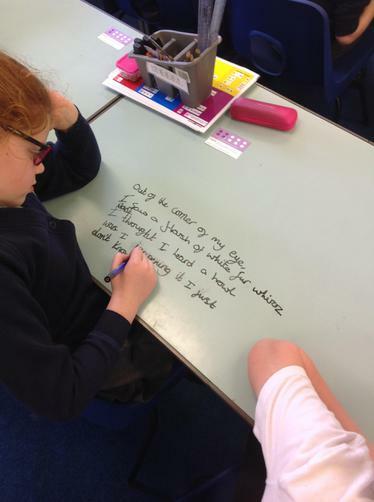 After listening to some thought-provoking stories, Giles led a poetry workshop which inspired some creative and cryptic personification poems. To celebrate World Book Day, the whole school enjoyed a fun-filled, dragon-themed day with Agent Green the Dragon Whisperer who flew in from DCHQ (Dragon Conservation Headquarters) on her dragon companion, Fuse. 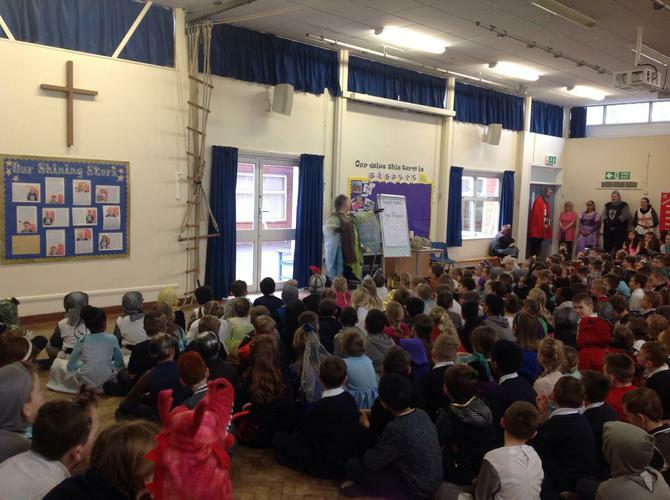 In the morning, Agent Green thrilled the children with dragon tales and introduced them to Bitey Bob the hatchling. 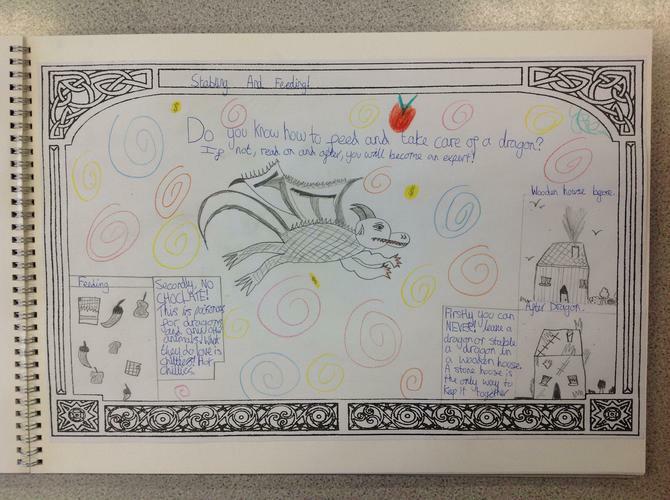 In the afternoon, they attended an apprentice workshop where they were trained in finding, feeding and flying a dragon. 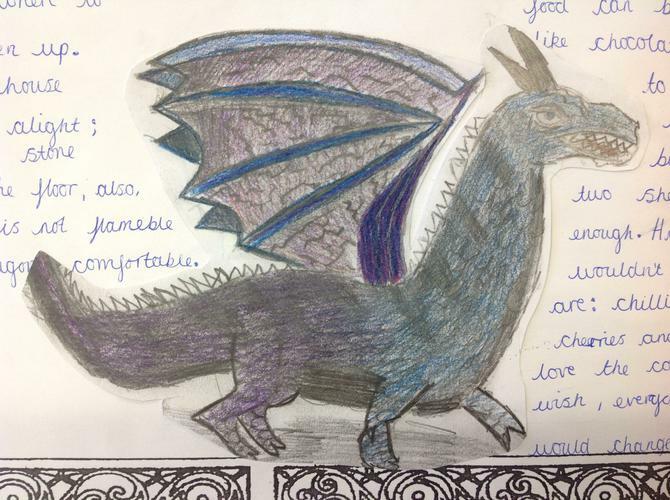 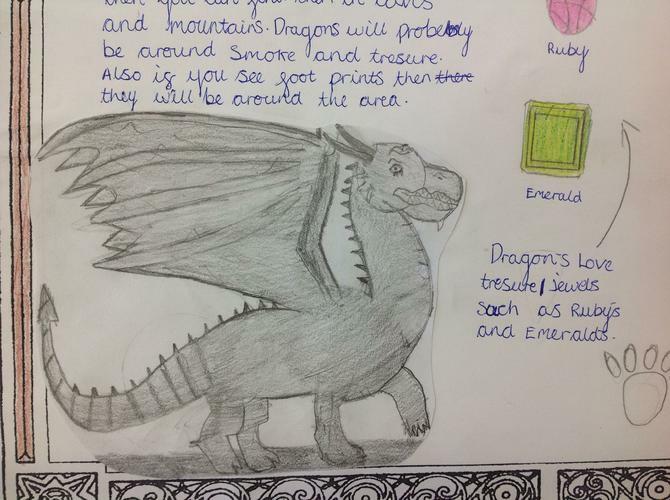 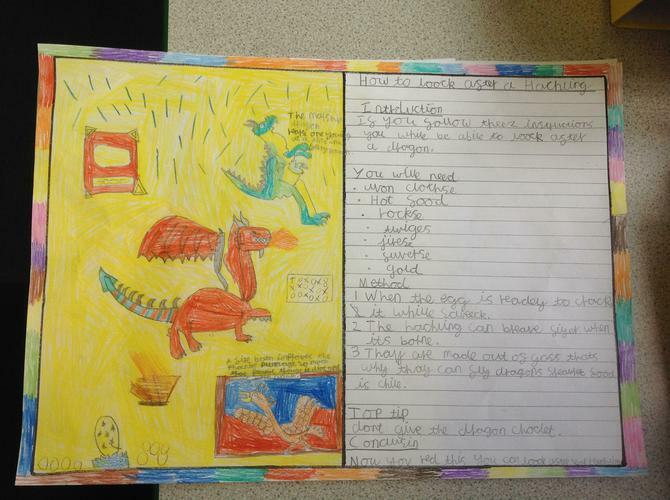 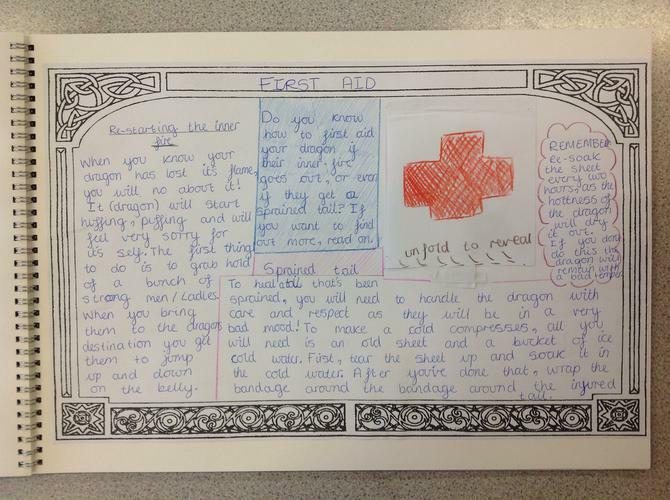 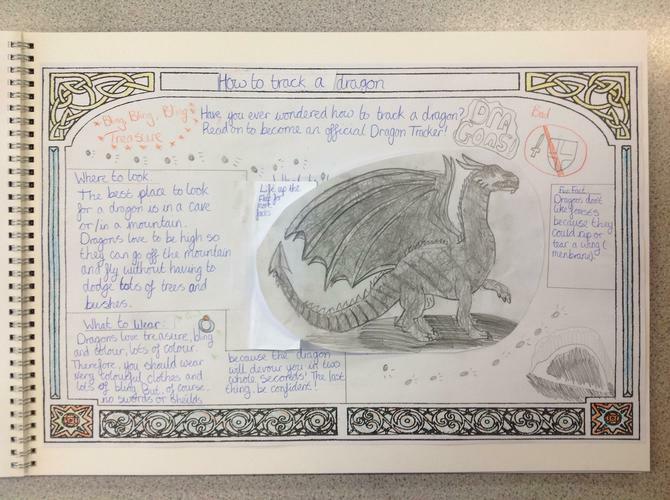 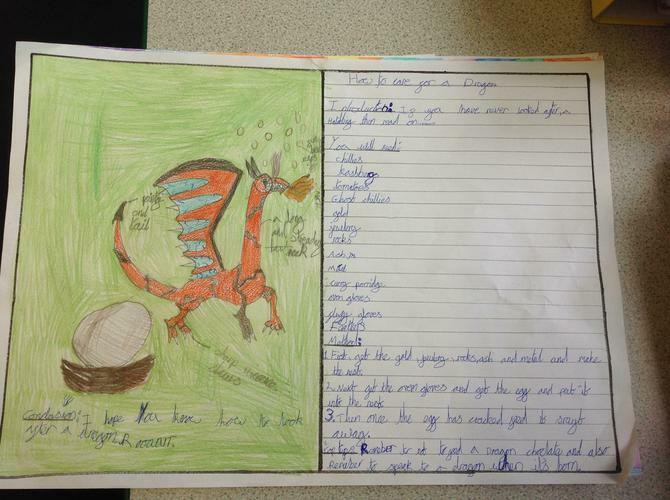 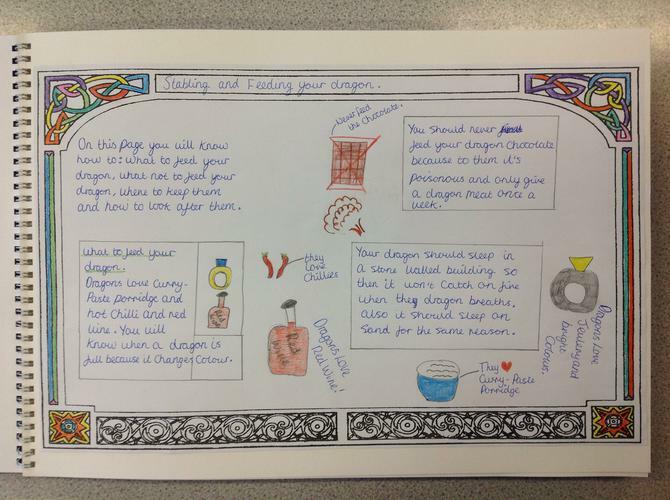 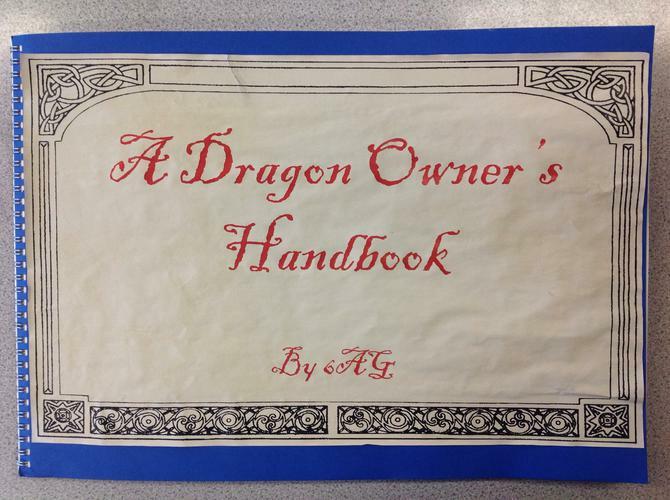 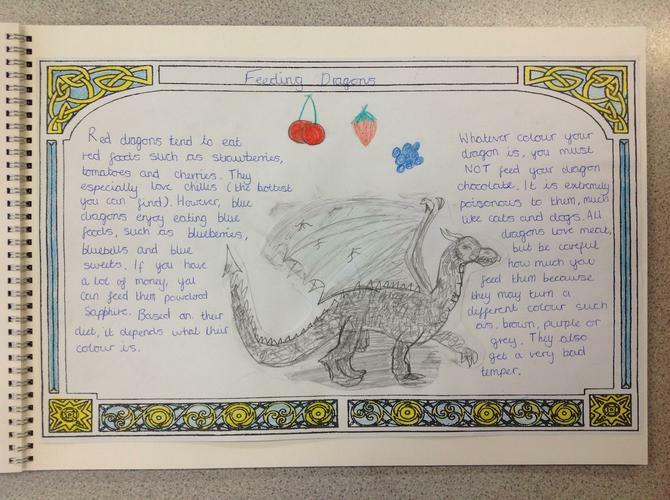 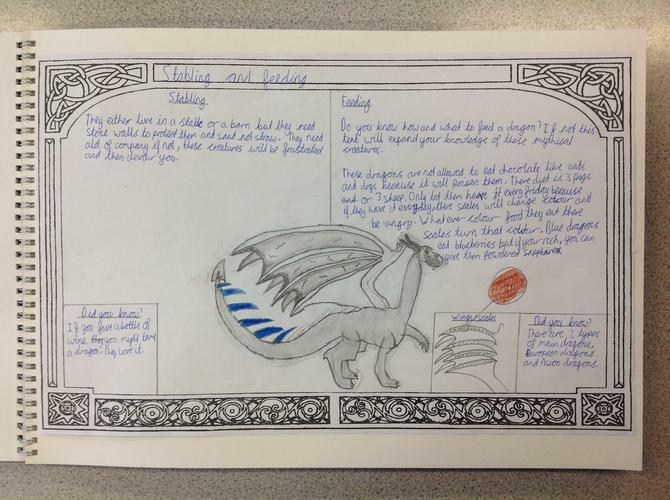 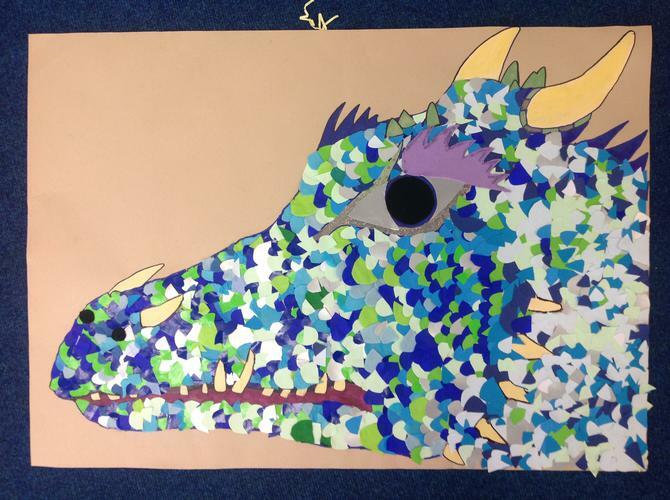 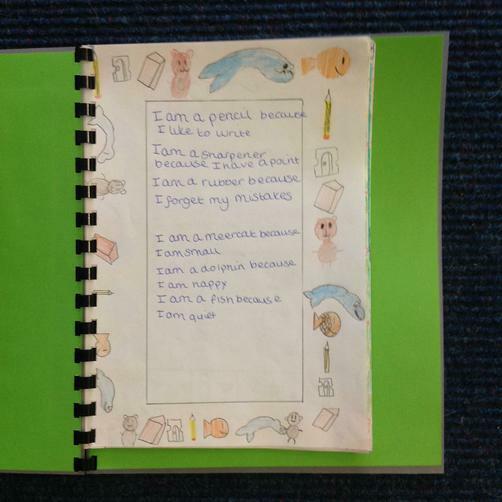 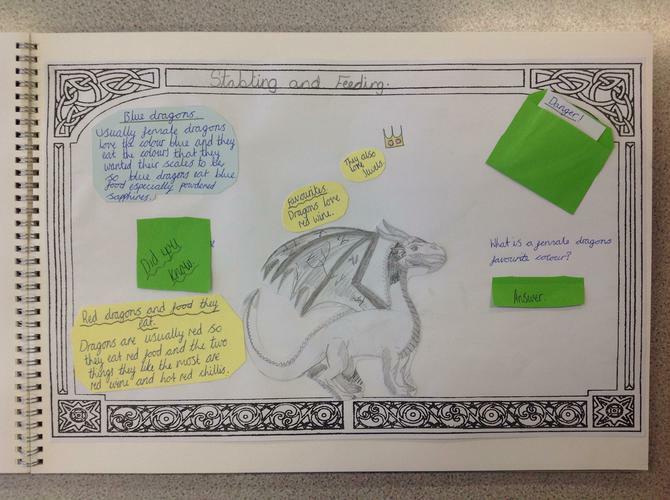 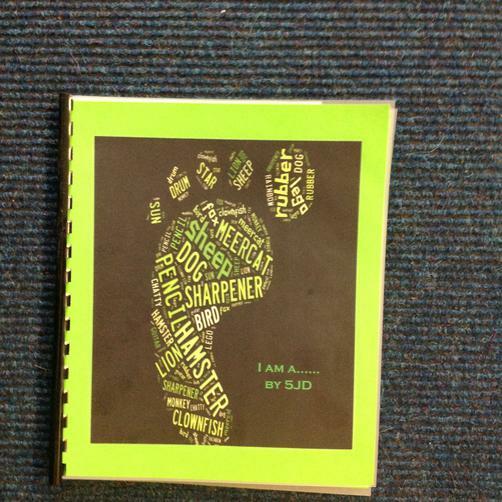 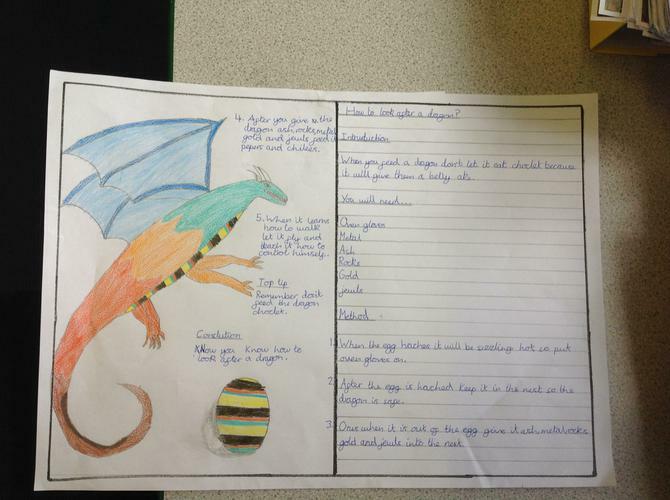 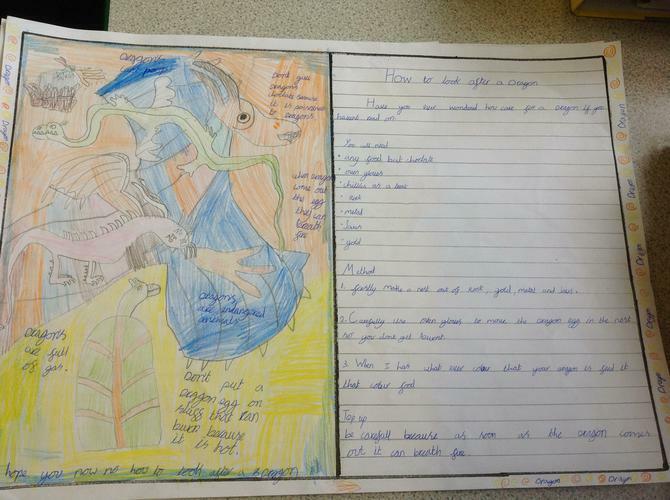 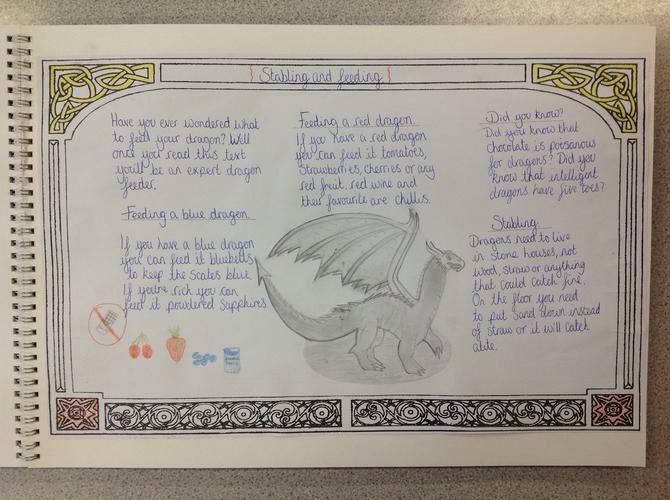 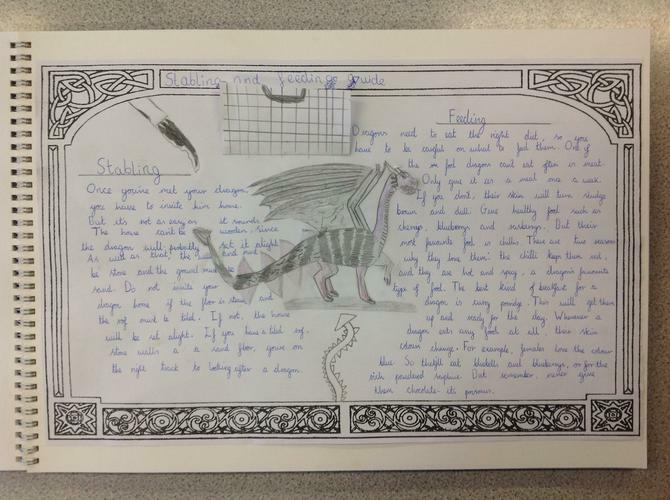 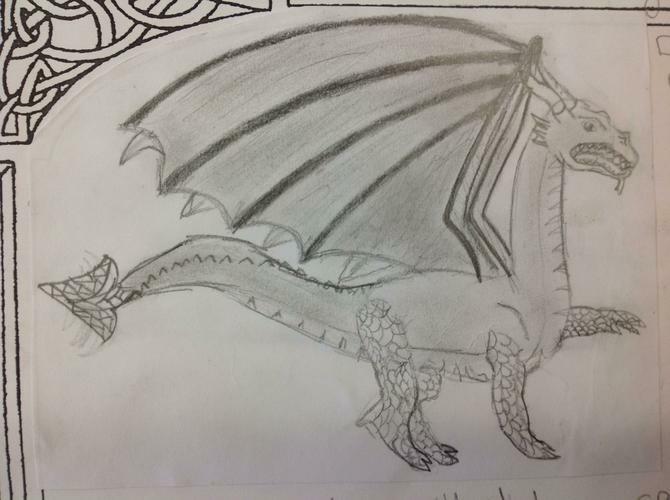 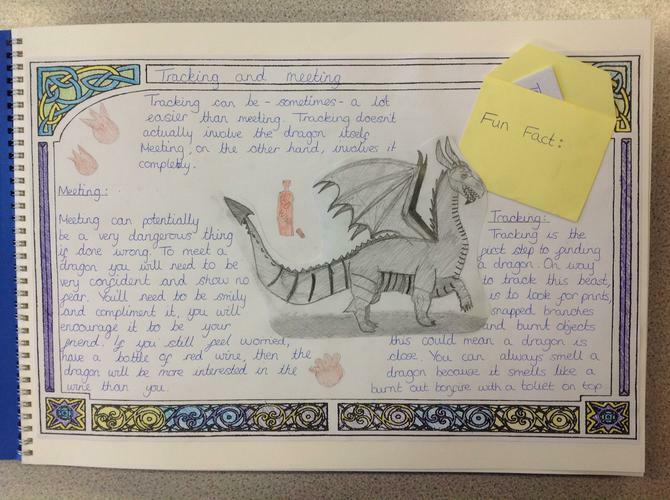 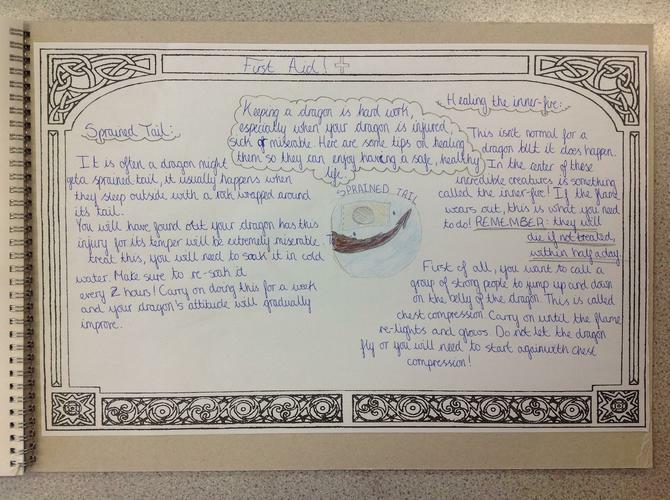 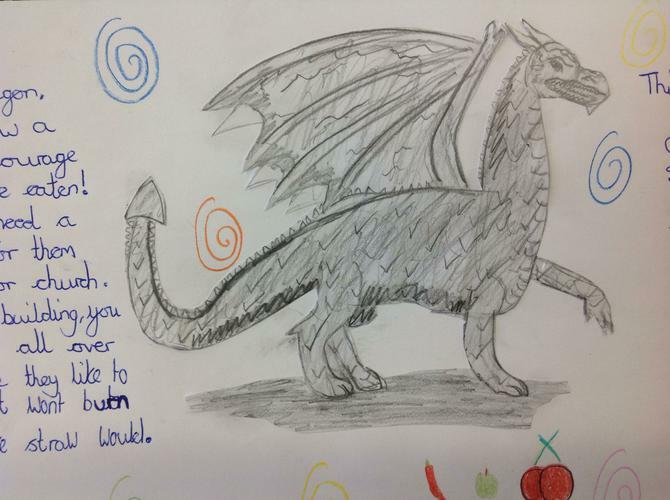 While they listened, the children collected word treasure which each class used to create their own magnificent dragon owner's handbook.